The Prolinnova Country Platforms have elected two new members in the Prolinnova Oversight Group (POG): Elske van der Fliert to an independent seat in the POG and Joe Ouko to the seat for farmer organisations. 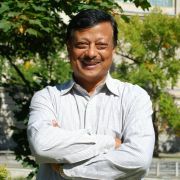 Pratap Shrestha of USC Canada has replaced Ann Waters-Bayer as co-chair of the Prolinnova Oversight Group (POG). He is a founder member of Local Initiatives for Biodiversity, Research and Development (LI-BIRD), a Nepal-based NGO that initially hosted Prolinnova–Nepal, and was Executive Director of LI-BIRD in 2003–09. He was instrumental in setting up Prolinnova–Nepal and was its coordinator for five years. In 2010, he joined USC Canada Asia as Regional Representative and is now their Program Specialist on Seed Systems and Plant Genetic Resources. He is based in Pokhara, Nepal. In the POG, Pratap shares responsibilities with Chris Macoloo, who has already been serving as co-chair for the last two years and has agreed to serve for an additional year. Chris is the Regional Associate Vice President for Africa at World Neighbors, and is based in Nairobi, Kenya. From the over 150 candidates that applied to be Subregional Coordinator (SRC) of Prolinnova activities in Africa, the two persons selected by the Country Platforms in the respective subregions and the Prolinnova Oversight Group (POG) were Amanuel Assefa for the Eastern & Southern Africa subregion and Georges Djohy for the West & Central Africa subregion. The Prolinnova Oversight Group welcomes Timor Leste (East Timor) as a new Country Platform within the Prolinnova community of practice as of May 2017. The CP comprises NGOs, government agencies and two universities. 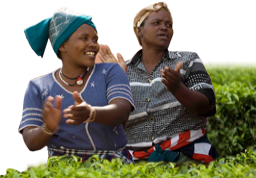 The host NGO – RAEBIA (Resilient Agriculture and Economy through Biodiversity in Action) – grew out of work supported by USC–Canada for several years, when it introduced the participatory land-use planning approach that is now used widely in the country. 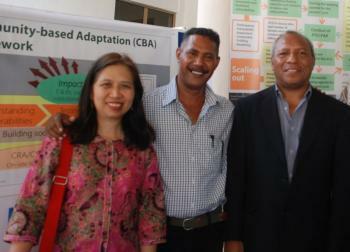 The group has gained support through the Timor Leste Government’s Civil Society Organisation Fund to launch the CP. Government funding also made it possible that Xisto Martins (RAEBIA) and Joaquim da Costa Freitas (Prime Minister’s Office) could travel to Ghana to join the Prolinnova International Partners Workshop (IPW) in May 2017. The Navrongo-Bolgatanga Catholic Diocesan Development Office (NABOCADO), in collaboration with the Association of Church-based Development projects (ACDEP), has launched a three-year project in the Bongo District of the Upper East Region to promote local innovation for food and nutrition security (Proli-FaNS) under the umbrella of the international Prolinnova network. 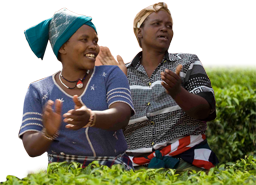 The project will focus on developing the effective and innovative capacities of smallholder farmers in rural communities to improve food security and nutrition, as well as nutritional diversity. Speaking at the project launch in Bongo-Soe, NABOCADO Human Development Coordinator, Joseph Ayembilla, explained that the project is aimed at strengthening the innovation capacity of farmers in rural communities, particularly women, to sustain their farm and livestock productivity and to increase local resilience to climate change. Prolinnova–Uganda gives an update on its work in completing the CLIC–SR work in 2016, including two examples of farmer-led joint experimentation that were documented as case studies. Also a booklet and a policy brief were published on innovations for climate change adaptation in Uganda. Numerous dialogues with policy- and decision-makers in research, academia, government and farmer organisations about local innovation and farmer-led research and development included a national workshop in July 2016. In November, a partner organisation in the Country Platform (CP) – Kikandwa Environmental Association (KEA) – co-organised with AGC (A Growing Culture) a gathering in Kikandwa to plan the setting up of a farmers’ library for food sovereignty. This was attended by several other Prolinnova–Uganda partner organisations. The full report can be found here. vii) award from the National Environment Trust Fund to farmer innovator Joe Ouku from the farmer self-help group Nyando District Dairy Goats Association. The network in the Philippines has made a brief report on its activities in 2016. The full PROFEIS-Senegal report for 2016 is in French.